I’m also so happy to see that more and more greens are coming into the home giving blue a little rest. What colors work well with green? Yellow. Not gold not too yellow but a soft, butter hue such as Weston Flax. 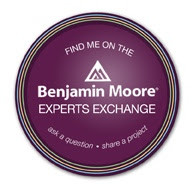 This is a color that I use when my clients have restricted light in the home and very dark wood flooring. I would not recommend using this color for those of you who have the maple or oak flooring that is strongly yellow or orange looking. You know, it’s what I refer to as the “dreaded orange flooring”. So if you want to try these two colors in your home, just look at your flooring and also your tile. If your tile has a pink undertone, aka the “pinky beige” than these color will fight you. One thing I’d like to state about this post is just because I mention a few colors that I like doesn’t mean it will look right in your home again for the reasons that I just mentioned above. Anyway, great Benjamin Moore colors right here. Try them for Summer! 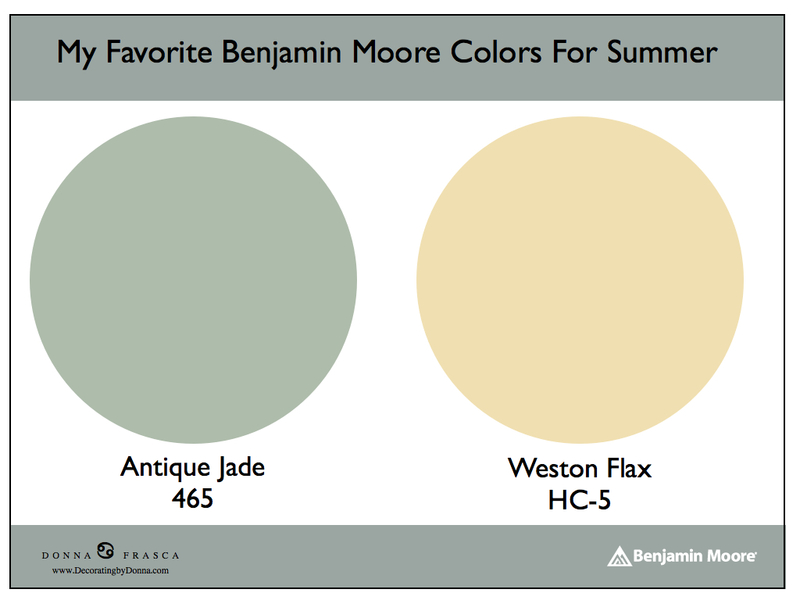 This entry was posted in Benjamin Moore and tagged benjamin moore, color consultations, favorite colors for summer, green, Weston Flax, yellow. Bookmark the permalink.